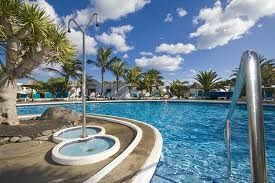 Although the Canary Islands belong to Spain, this vacation paradise in the North Atlantic Ocean is actually located closest to West Africa and Morocco. 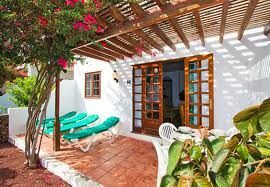 Situated on the quiet beaches of Lanzarote, Las Casitas is an appealing holiday resort in a private and romantic semi-tropical setting. From the vibrant blue waters of the Atlantic Ocean to the breathtaking and dramatic sights of the lava fields in the National Park of the Fire Mountains, Lanzarote is a unique and unforgettable vacation destination. When you become a timeshare owner or vacation villa renter at Las Casitas, you can unwind by the resort’s heated pool, watch your children at play in the kiddie pool or private playground, play a little tennis, or plan a barbeque. 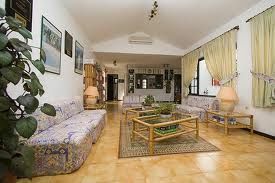 This peaceful retreat makes it easy to enjoy a holiday that is as action-packed or as leisurely as you like. Studded with palms, fruit trees, and flowers in bloom, the property’s garden-like setting is an ideal venue for every vacationer, whether your there to enjoy a romantic retreat or some rollicking family fun time. 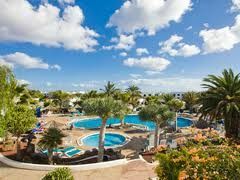 With Moorish-style architecture defined by white stucco exteriors and colorful tile entries, the timeshare villas are a relaxing retreat on the island of Lanzarote. At Las Casitas resort, whether you choose a studio unit or a one- or two-bedroom villa, you’ll enjoy roomy accommodations, a full kitchen, air conditioning, an in-unit washer and dryer, and a private outdoor living space with outdoor furniture. Studio holiday units are designed exclusively for two vacationers, while one-bedroom plans sleep up to four and two-bedroom layouts sleep up to six. 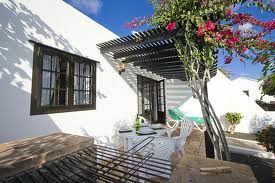 Many timeshare units have an outdoor grill and all villas offer the option to add a portable crib and high chair. 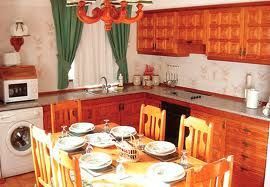 For dining choices when self-catering is not your style, a variety of restaurants and eateries are located nearby. The resort also features an on-site snack bar and a poolside bar. Other amenities and services that vacation owners and villa renters appreciate include onsite security personnel, dry cleaning and laundry service, self-service laundry facilities, a multilingual staff, and a concierge desk to assist with your holiday needs and requests. Contact Las Casitas Specialist Today!